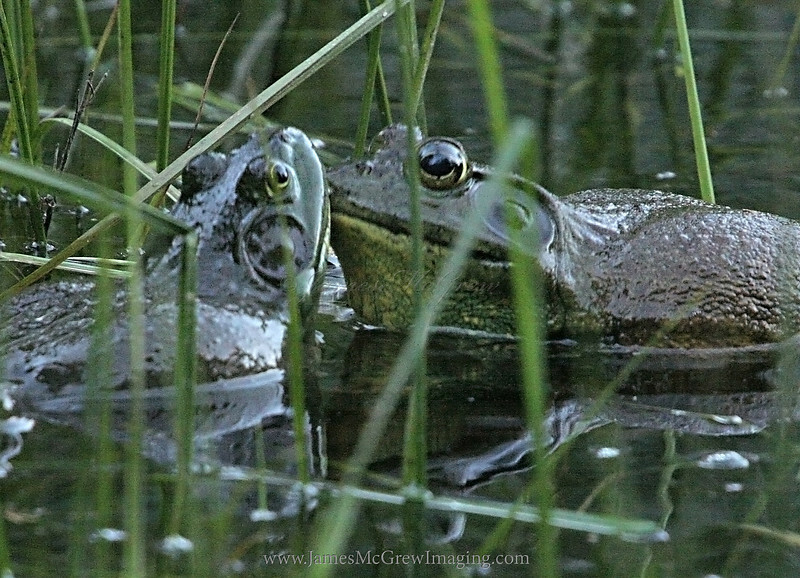 Amorous Bullfrogs (Lithobates catesbeiana) in Woski Pond. The Bullfrog is not native to Yosemite. They are voracious predators that will eat anything they can get their mouths around including birds, amphibians, reptiles, small mammals, and are implicated in the decline or local extinction of the California Red-legged frog and the Western Pond turtle. As a result, park biologists work to remove the bullfrog from Yosemite's warm water ponds.